One of the "legacies of Orientalism, and indeed one of its epistemological foundations," Said asserts, is that of "historicism" – a belief that human history is created by men and women, that each of its epochs can be understood as possessing a coherent unity, and that it either culminated in or could only be observed from the vantage point of Europe. It is this historicism, Said contends, that shaped the worldview of Vico, Hegel, Marx, and others. 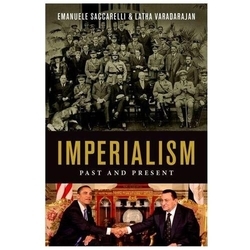 To put it differently, this universalizing, materialist, Eurocentric narrative is what holds together even seemingly "antithetical attitudes as ideologies of Western imperialism" as well as the "actual practice of imperialism." in Said's worldview there is essentially no difference between a Balfour, a Marx, a Rhodes, or a Lenin. In fact, regardless of their very distinct footprints on the political landscape, far more fundamental from Said's perspective are the epistemological commitments that hold them together and bind them to the even longer lineage of Aeschylus, Dante, Chaucer, and Shakespeare on the one side and Bernard Lewis, Daniel Pipes, and Judith Miller on the other. (1) Aeschylus, Dante, Chaucer, and Shakespeare are the most exalted company I've ever been or ever will be included with. (2) If you list me with such figures, feel free to call me an imperialist. (3) Of course, I reject any association with Marx and Lenin, though (who knows?) for lefty associate professors, this might be high praise. 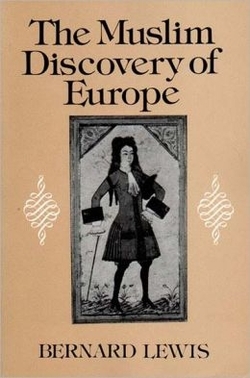 (4) I had imagined I study the Middle East and Islam out of fascination with its civilization; in fact, it seems, doing so expresses my inner Eurocentrism. (5) If "epistemological commitments" have blighted Westerners for 2½ millennia, what makes Saccarelli & Varadarajan so sure that they, of all people, have escaped its clutches?